If anyone believes there’s no such thing as “too much shopping” in the city that never sleeps, it’s Hudson Yards. The recently announced 1 million SF NYC retail conglomerate will be opening its doors to the public on Friday, and providing an experience unlike most. Built by Related Cos. and Oxford Properties group — two of the world’s largest real estate developers — the massive shopping center will include something for everyone, with both luxury and affordable options ranging from Cartier and Tiffany to H&M and Uniqlo. It will even house emerging startups like Mack Weldon, Rhone and shoemaker, etc. 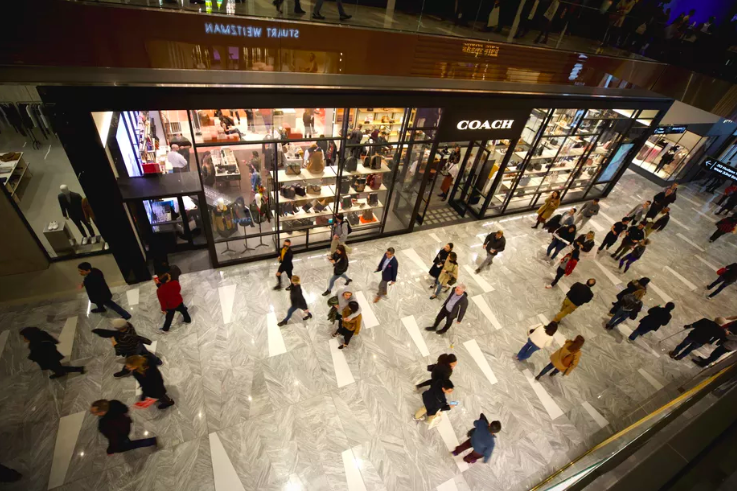 Like any proper shopping experience should, Hudson Yards provides plenty of options for shopping fuel, from craft coffee shops to a Spanish food hall, craft cocktail bars, eateries run by celebrity chefs and fan favorite fast food like Shake Shack. As if that’s not enough, companies like 3DEN offer rest and relaxation via Casper mattress naps, yoga meditations, showers, phone booths and more. In its entirety, the Hudson Yards development amounts to 18 million SF, and in addition to the shopping center, will be home to companies like VaynerMedia, CNN, Warner Bros., and L’Oreal. The development will also be home to luxury apartments and high-end fitness chains like Equinox, which plans to open its first hotel ever, complete with its largest gym yet. "What made us think we could do this? We had to ask it of ourselves first. We did a ton of research," said Webber Hudson, an executive vice president at Related Urban, according to CNBC. "The most powerful piece of evidence for me was a map… There was a complete void in the market." Learn more about Hudson Yards here.